Hi Everyone! 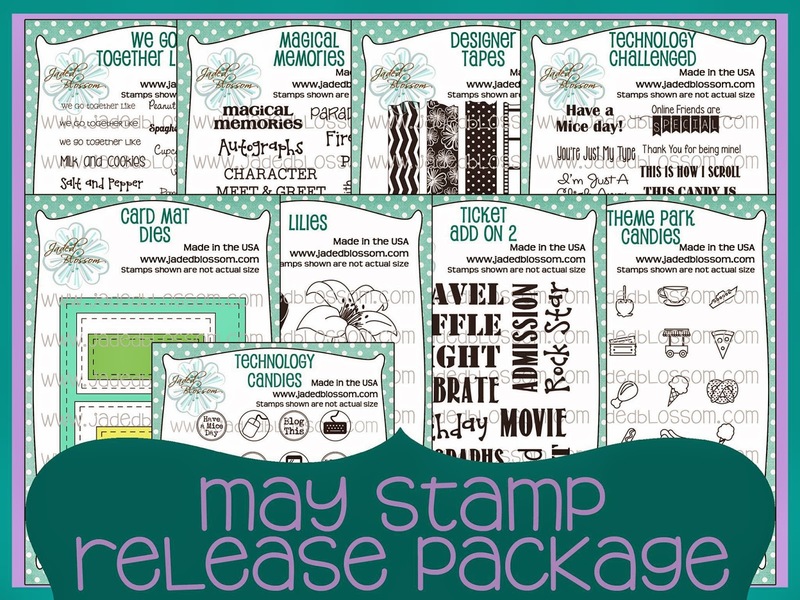 Welcome to Jaded Blossom's May 2014 Release Blog Hop. 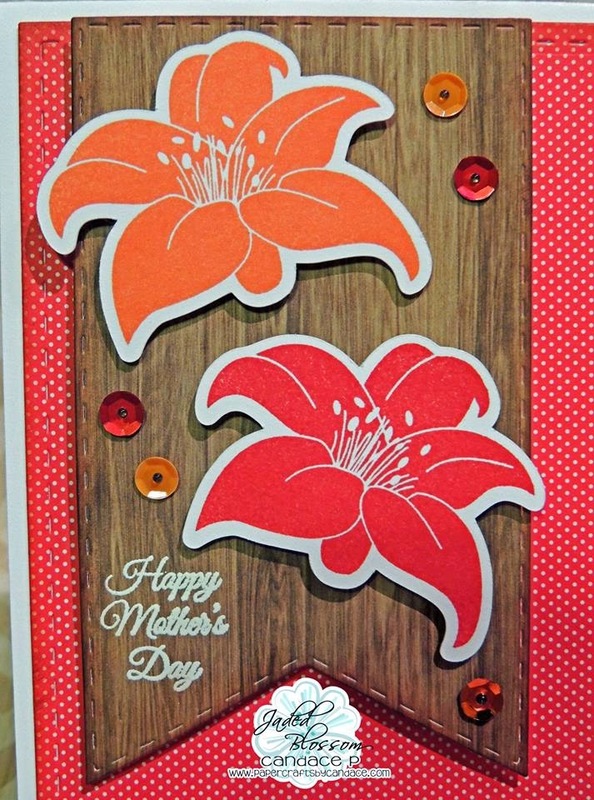 I used the Card Mat Dies, Wine Tag Die, Lilies Stamp Set (with SVG), Sequins, Kind Thanks Stamp Set, So Many Birthdays Stamp set and Mother's Day Candies stamp set. 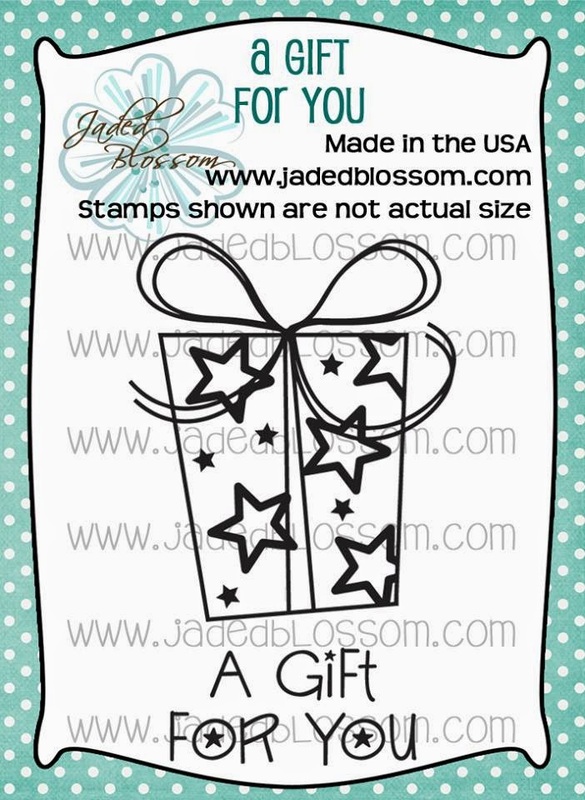 1 - Free 2 x 3 Stamp for customers that spend $40 or more before Taxes and Shipping! 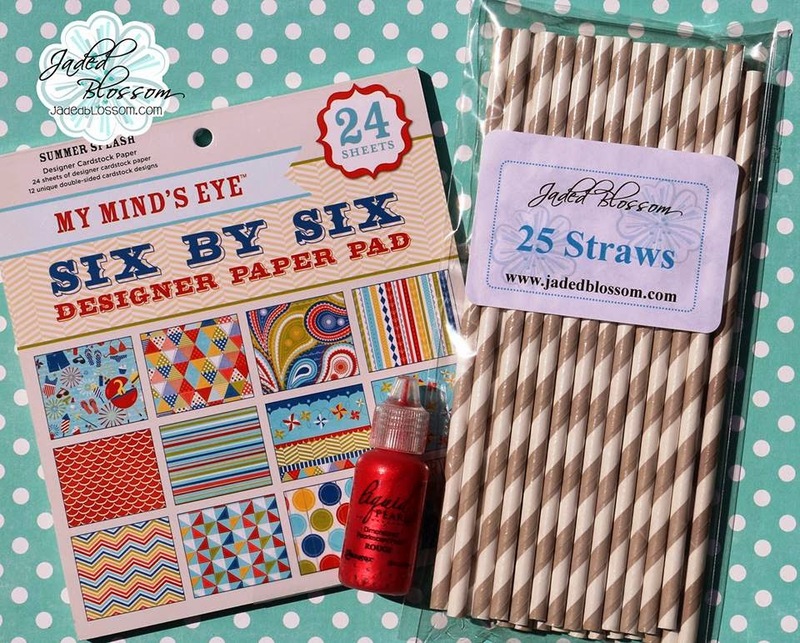 FREEBIE is only available until Sunday 5/11, 11:59pm pst. AWWW! 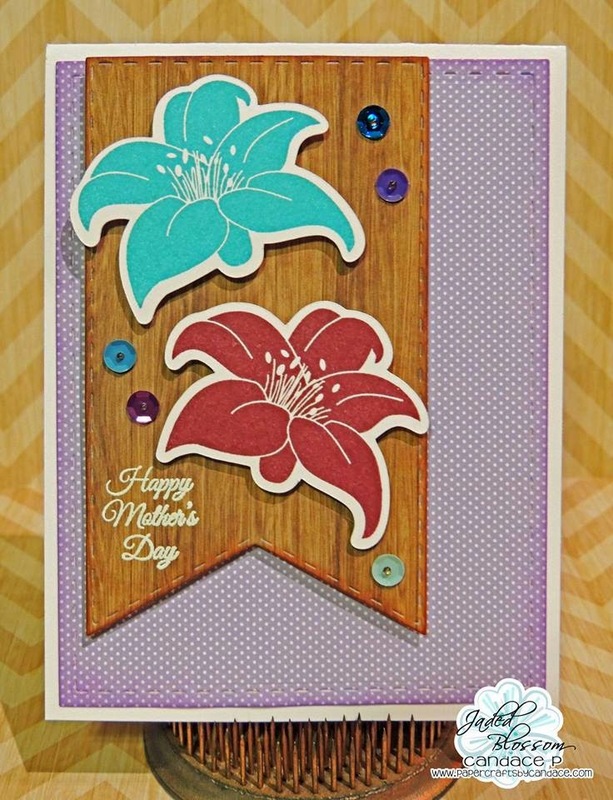 I love these cards Candace!!! They are PERFECTLY made!!! Great job!! Candace! THESE ARE SUPER CUTE!!!!!! Oh my word!!! These are BEAUTIFUL!!! LOVE LOVE them all!!! Very Pretty. Love them all! These are gorgeous! What a lovely set. GORGEOUS! 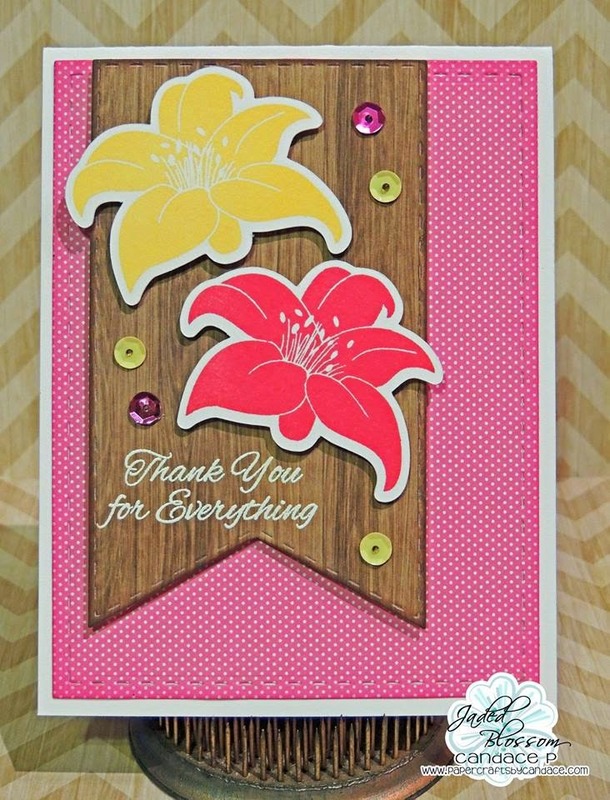 Love all the bright colours!! These cards are absolutely Gorgeous! Love all the colors. What a beautiful set of cards! 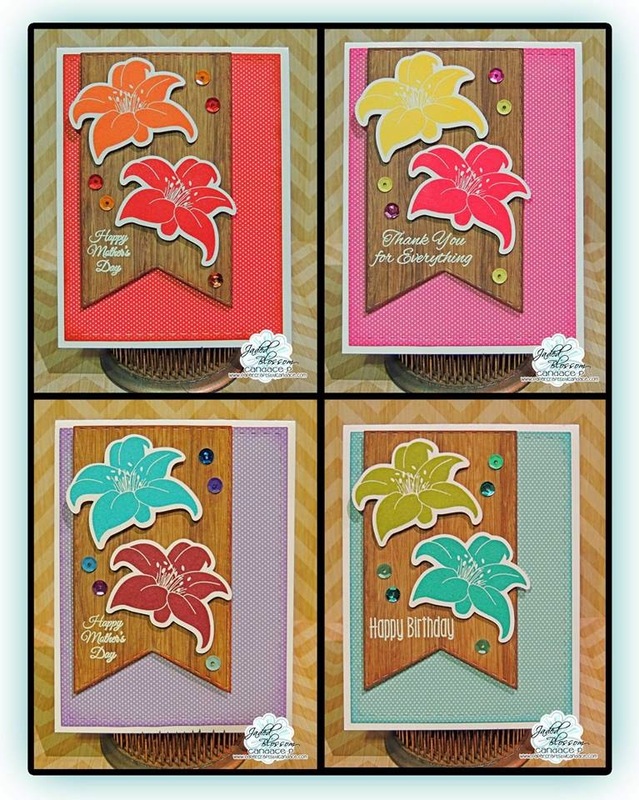 The colors are amazing and the stamps are fabulous - I LOVE these! 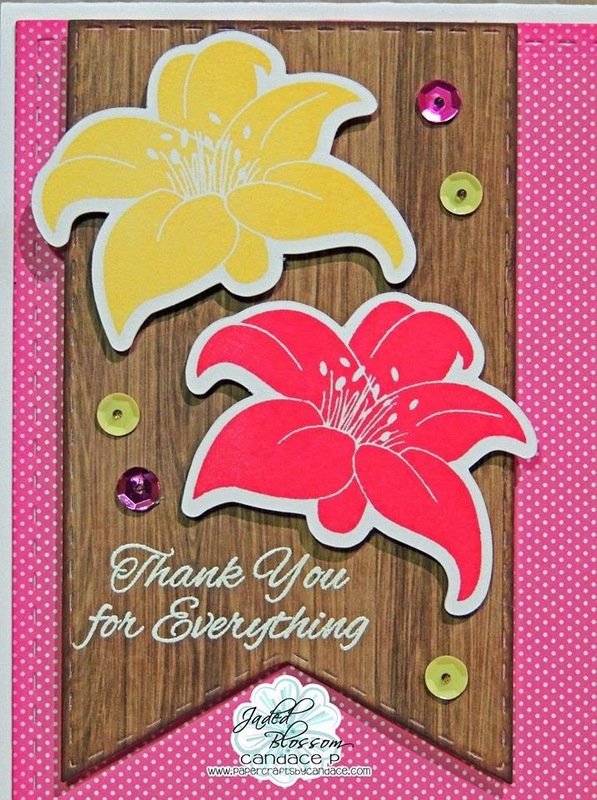 Amazing colors and cards. 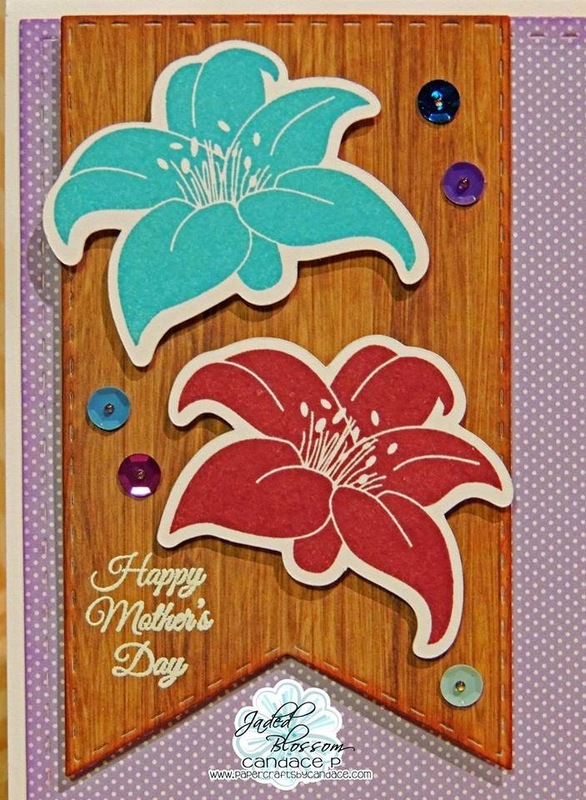 I wasn't sure about this stamp set until I saw your cards. WOW! This project came out gorgeous! 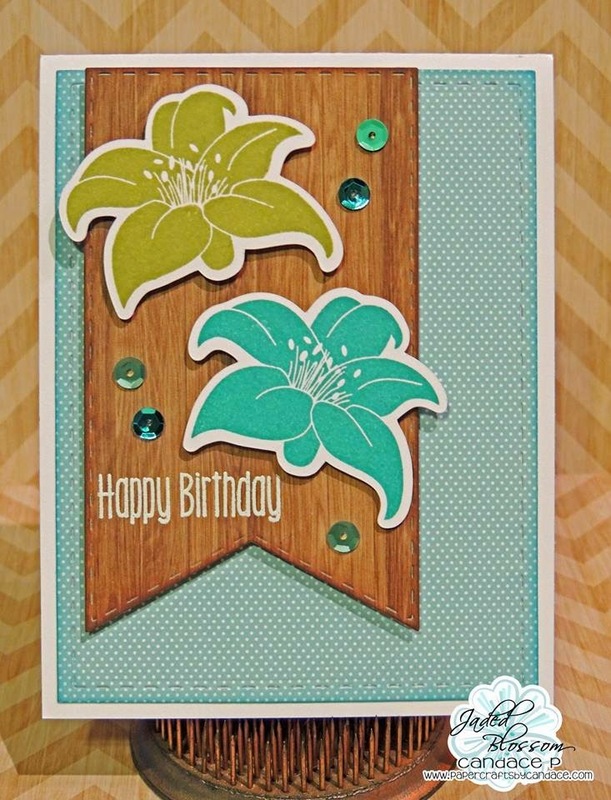 Love the rich colorful combination of colors. 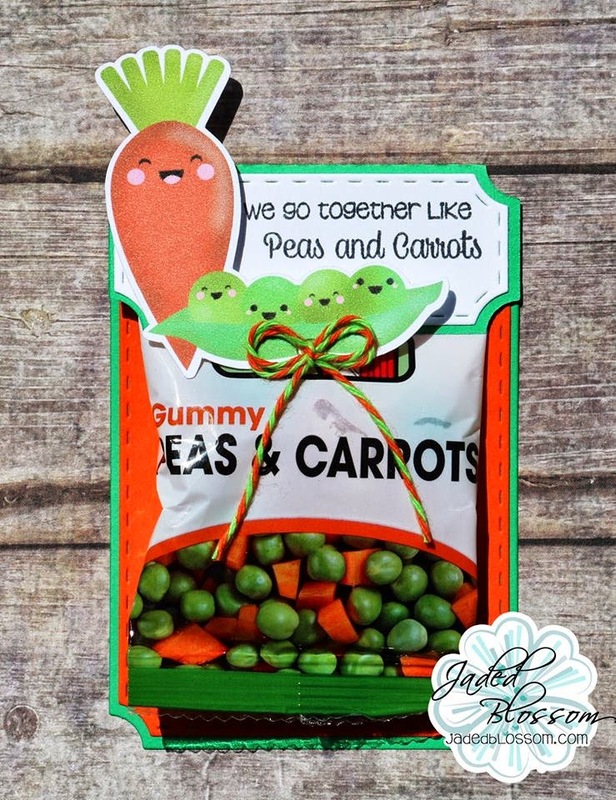 The carrot and peas are adorable too. 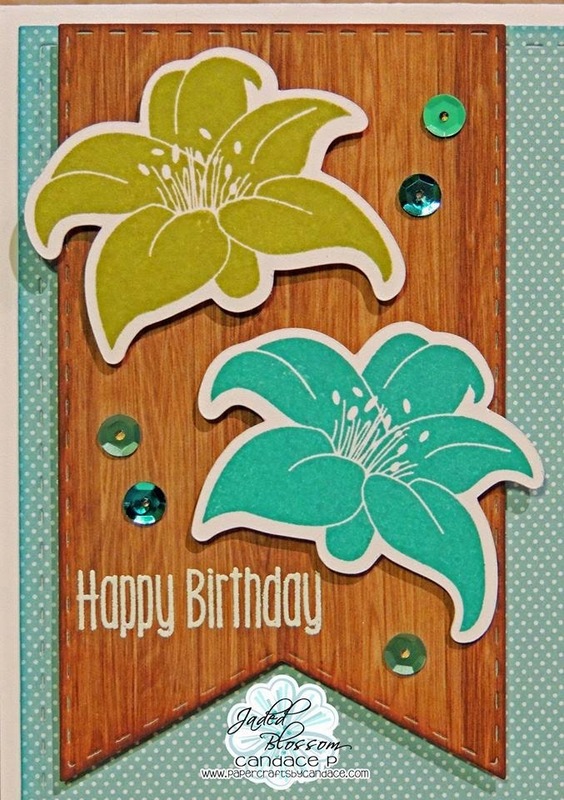 Love all the pretty colors of flowers against the wood grain. Awesome. Loved all the projects this week. 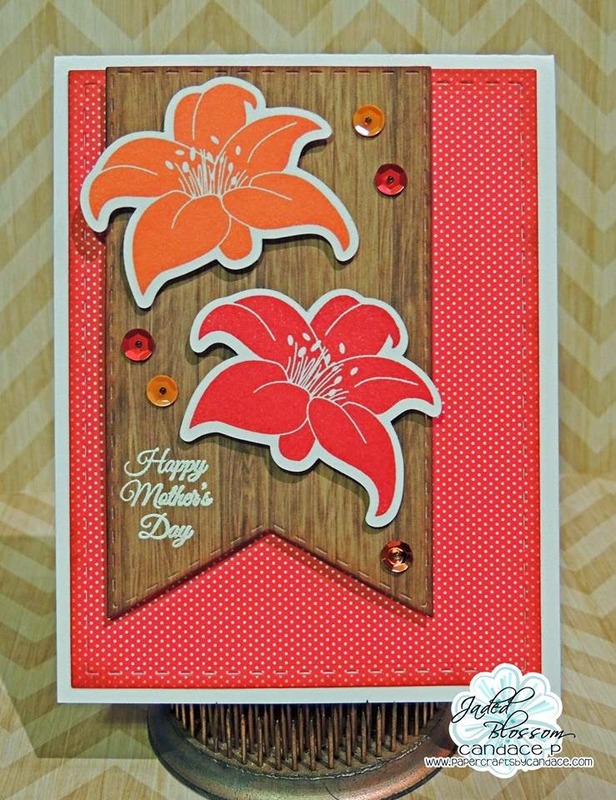 Love these cards... defiantly have to get this stamp... so many wonderful ways to use it..